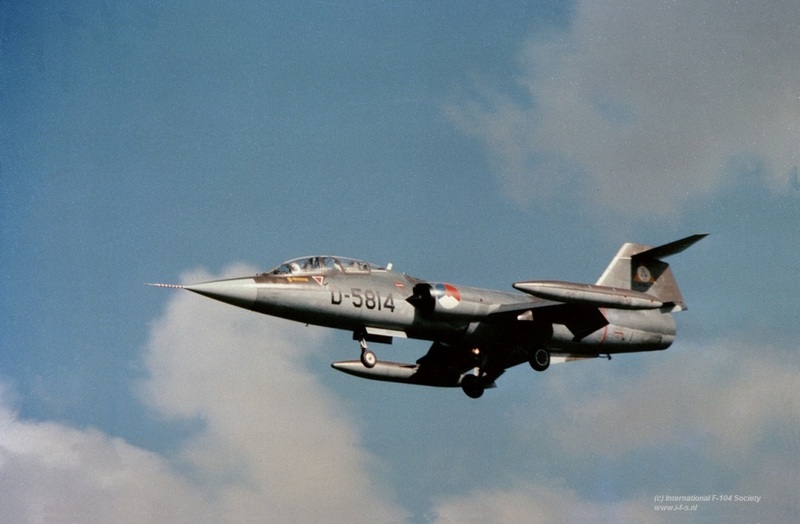 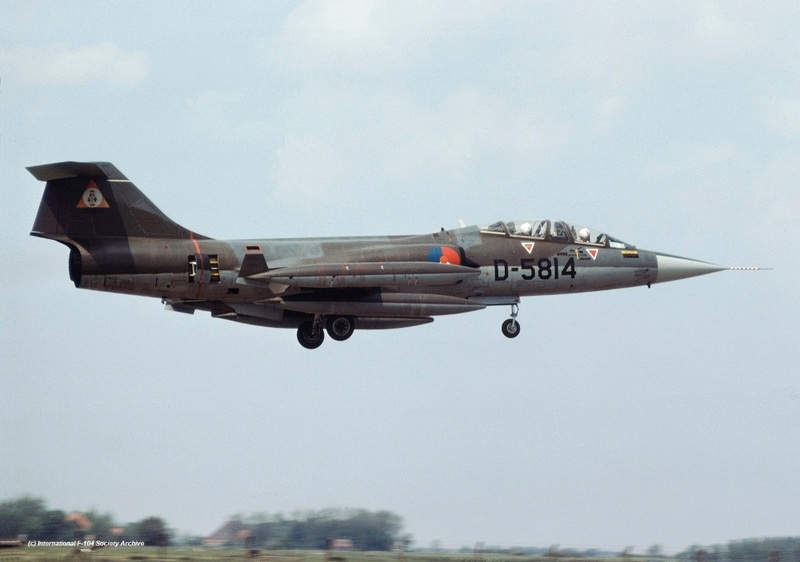 TF-104G D-5814 landing at Leeuwarden in the 60s with 322sq markings and sidewinder rails on tip (H Prins Collection. 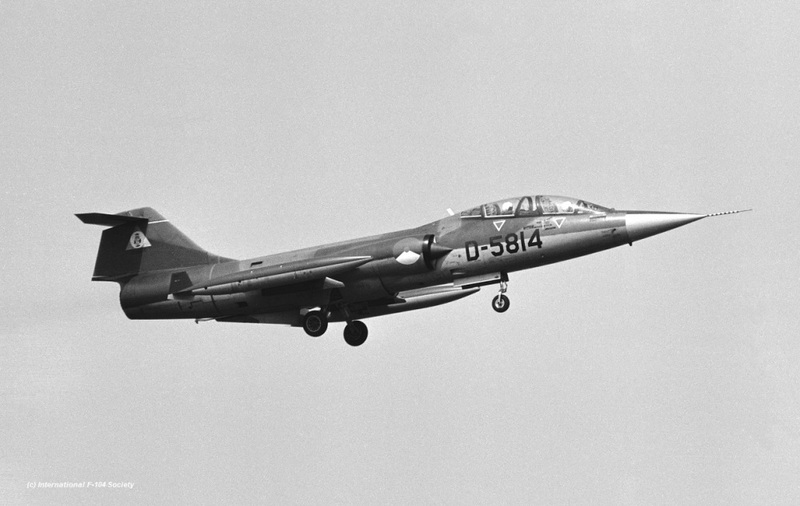 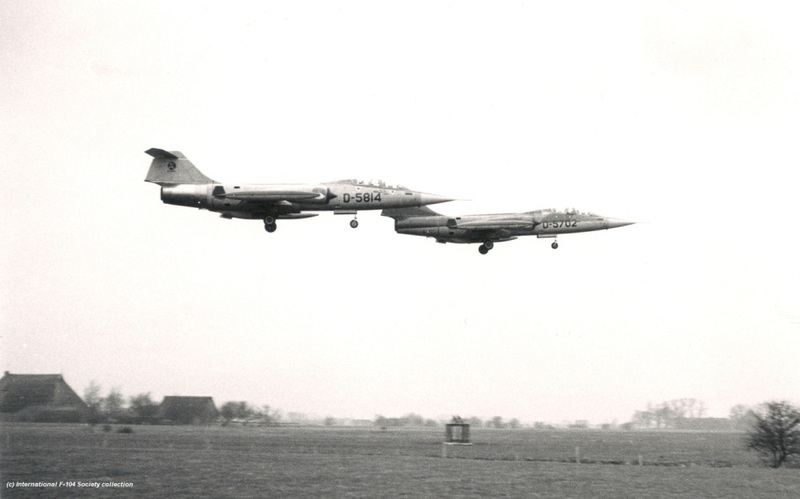 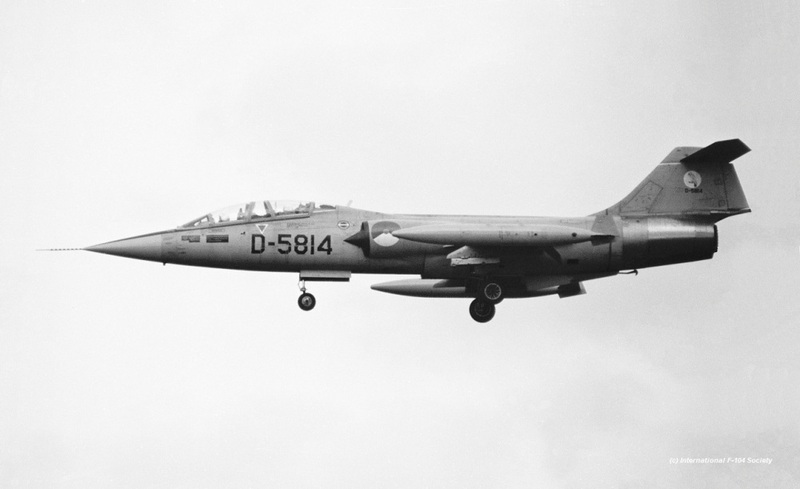 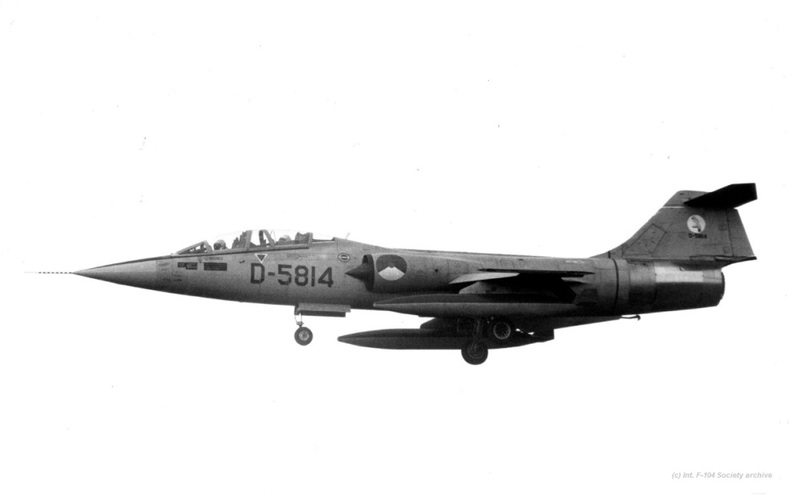 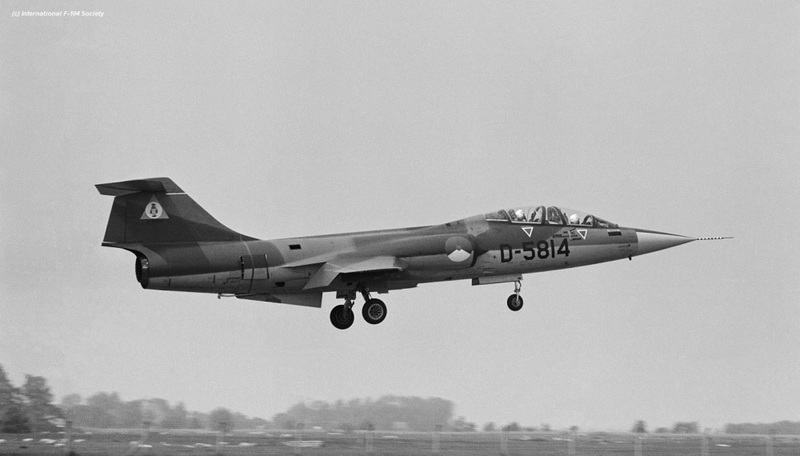 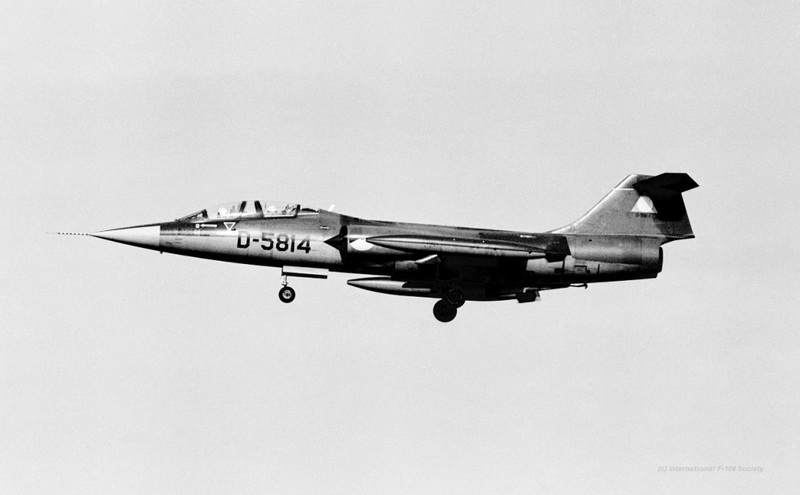 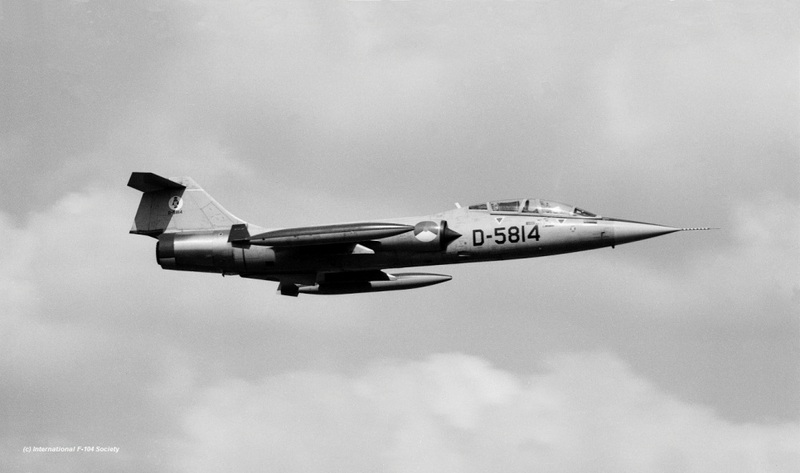 TF-104G D-5814 landing at Leeuwarden in the 60s with 322sq markings. 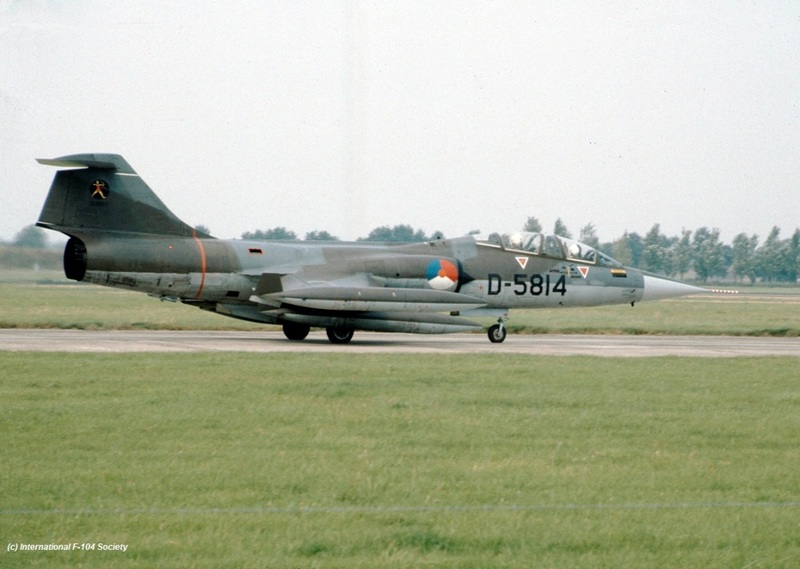 (H Prins Collection)..